Looking for deals in Osaka? Open from October 2017, Residential Hotel Hare Shin-Osaka is located a 3-minute walk from Shin-Osaka Station East Gate Exit 11. Clean, comfortable, stylish, with large rooms in a great location, offering excellent value for money. I will definitely stay here again. Located just a minute's walk from Nippombashi Station, Kamon Hotel Namba offers free WiFi throughout the property and free luggage storage service. This is a new hotel and super clean. Staff is extremely nice and helpful. And the location is awesome (much better than dotonbori as its close enough to it and close to 3 other great areas and markets). We enjoyed it so much we stayed an extra night. Opened in February 2017, Hotel Cordia Osaka is just a minute's walk away from Higobashi Station. The property is also just a 5-minute walk from Yodoyabashi Station. The room is clean and decorative. Comfortable bed. The transportation is so convenience. Situated 2.8 km from Nakanoshima Park, Hotel Shiki Utsubo Park is set in the Nishi Ward district of Osaka. Comfort hotel. Staff is professional. Boasting stunning views of Osaka city, 4 dining options and a heated indoor pool, Conrad Osaka offers luxurious rooms in modern decor. Great view. Great sevice. Offered to take transfer the luggage to tokyo via courier. Waqoo Shitaderamachi is situated in Tennoji, in Osaka. The accommodation is 500 metres from popular areas such as Tsutenkaku and Shinsekai. I feel comfortable and enjoyable to stay here. Clean and spacious japanese style room. Located in Osaka, hotel androoms Shin-Osaka offers air-conditioned rooms with free WiFi. 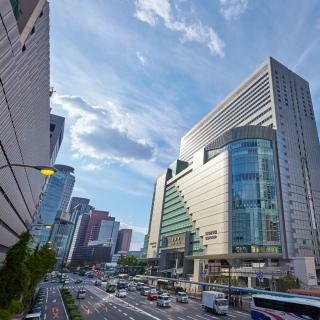 Ideally located in the Yodogawa Ward district, this hotel is set 5 km from Umeda Sky Building. Location, value for money, brand new hotel. Hotel Amaterrace Yosuga is situated in Osaka, in the Shinsaibashi, Namba, Yotsubashi district. This property is located a short distance from attractions such as Tsutenkaku. Clean, friendly, good location near gion district you can actually took a bus there. Located just a minute's walk from Nippombashi Station, Kamon Hotel Namba offers free WiFi throughout the property and free luggage storage service. This is a new hotel and super clean. Staff is extremely nice and helpful. Set within less than 1 km of Glico Man Sign and 2.6 km of Tsutenkaku, Hotel Yu-shu provides rooms with air conditioning and a private bathroom in Osaka. Staf chin is very nice and the lady before i check out . They very care to us. Only a 5-minute walk from JR Osaka Train Station, InterContinental Osaka is located at the newly developed Grand Front Osaka. Everything was perfect and the staff was incredibly helpful. Situated in Osaka, Harmonie Embrassee offers free WiFi access throughout the property. Awesome services, fantastic view, cutting-edge design, we really enjoy our staying here! Located in Osaka, 1.6 km from Glico Man Sign, HOTEL It's ON features rooms with air conditioning. The property is set 2.3 km from Nakanoshima Park, 3.2 km from Tsutenkaku and 3.2 km from Shinsekai. Nice location near Shinsaibashi (5 minutes walk). Efficient staff. Clean and comfortable rooms. What hotels in Osaka offer an especially good breakfast? For hotels in Osaka that serve up a highly-rated breakfast, try The Blend Inn - Studio, Quintessa Hotel Osaka Bay and midi HOTEL. 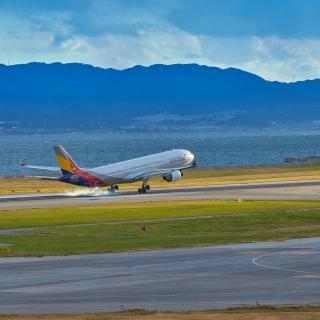 What are the best hotels in Osaka near Kansai International Airport? 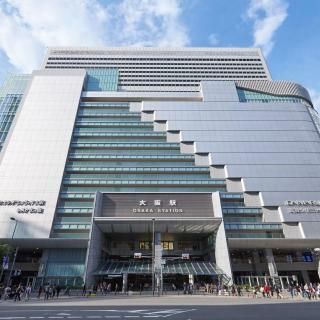 Travellers who stayed in Osaka near Kansai International Airport (KIX) have said good things about Hotel Nikko Kansai Airport, N Gate Hotel Osaka and Star Gate Hotel Kansai Airport. What are the best hotels in Osaka near Kyocera Dome Osaka? Some of the best hotels in Osaka near Kyocera Dome Osaka include Puku Puku Inn Dome, Hostel Nagayado Osaka and Infinity Hotel Osaka Dome-mae. What hotels in Osaka have nice views? 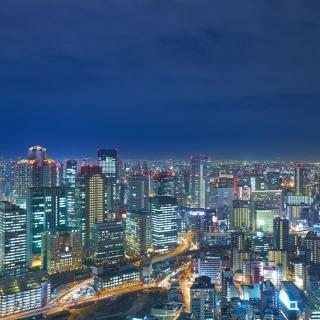 Osaka Marriott Miyako Hotel, Conrad Osaka and Hotel Hankyu International have received great reviews from travellers in Osaka regarding the views from their hotel rooms. What hotels in Osaka are good for couples? These hotels in Osaka are highly rated by couples: HOTEL THE FLAG Shinsaibashi, Hotel Universal Port Vita and Residential Hotel HARE Kuromon. 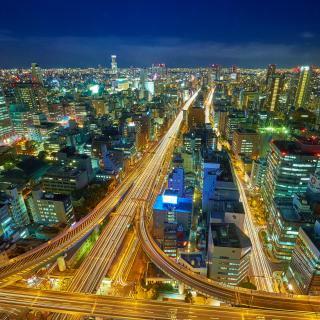 What is the best neighbourhood to stay in Osaka? 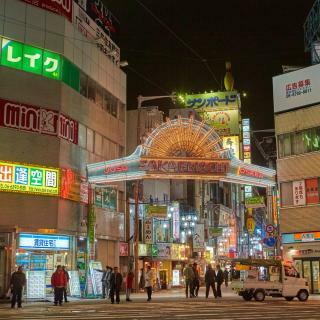 Namba, Nishi Ward and Dotonbori are popular with other travellers visiting Osaka. Which hotels in Osaka are good for families? Many families visiting Osaka loved staying at Osaka Marriott Miyako Hotel, Hotel Yu-shu and Conrad Osaka. How much does it cost to stay in a hotel in Osaka? On average, 3-star hotels in Osaka cost Rp 1,477,504 per night, and 4-star hotels in Osaka are Rp 2,413,721 per night. If you're looking for something really special, a 5-star hotel in Osaka can on average be found for Rp 4,438,282 per night (based on Booking.com prices). What are the best hotels to stay in Osaka? Osaka Marriott Miyako Hotel, HOTEL THE FLAG Shinsaibashi and The Ritz-Carlton Osaka are some of the popular hotels in Osaka. How much is a hotel in Osaka for this weekend? The average price per night for a 3-star hotel in Osaka this weekend is Rp 4,322,448 or, for a 4-star hotel, Rp 4,606,931. Looking for something even fancier? 5-star hotels in Osaka for this weekend cost on average around Rp 8,567,021 per night (based on Booking.com prices). On average, it costs Rp 2,600,960 per night to book a 3-star hotel in Osaka for tonight. You'll pay on average around Rp 3,004,033 if you choose to stay in a 4-star hotel tonight, while a 5-star hotel in Osaka will cost around Rp 3,852,123 (based on Booking.com prices). At the meeting point of river and sea, huge Osaka combines forward-thinking development and sure-footed tradition. This is symbolised in its temple-like, 16th century castle, guarded by ramparts and enlivened by vibrant spring cherry blossom. Dominating the surrounding skyline is Osaka Business Park, a reminder of the city’s strong role in the Japanese economy. 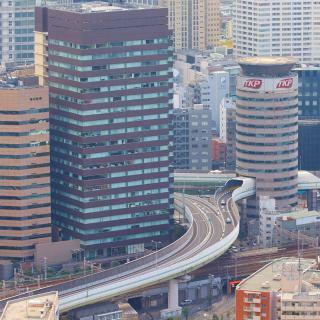 However, the most striking skyscraper is the Umeda Sky Building - 2 towers connected by a rooftop terrace offering far-reaching views. The nearby Osaka and Umeda train stations are linked by underground shopping centres, while the shops of Shinsaibashi’s America Village appeal to a younger crowd. Dōtonbori’s neon lights promote more shops, as well as restaurants considered the best in Osaka. In a city touted as Japan’s culinary capital, that’s quite an accolade. The Tsūtenkaku tower overlooks Tennōji Park, home of the Osaka Municipal Museum of Art. Another nearby park houses Shitennō-ji, one of Japan’s oldest Buddhist temples. The Kyocera Dome Osaka is a shrine of baseball, and more thrills are at waterfront Universal Studios Japan, the country’s 2nd largest theme park. Also by the sea is Kansai International Airport, on its own artificial island. The capsule hotel was invented in Osaka, and alongside this type of accommodation, Booking.com also offers luxury hotels with pools, cheap hostels and traditional ryokans. Japan has been one of my favorite country in the world. Japan has been one of my favorite country in the world. I always feel that this country is always one step ahead of technology and how everything here seems clean. I am never bored going to Japan for many times. If you're coming here for the first time, I recommend you go with a travel group cause it might be confusing especially when you're not used to using trains. But if you're good in using Google Maps then it might not be a problem. You can search every destination by using Google Maps and it will give you the right directions. Hotels in Japan can be expensive and the rooms are small. Best find hotels/apartments that is close to the train station. If you're going on a solo trip, try staying in a capsule hotel. No need to worry about searching for good food cause there are varieties of good food with teriffic taste. My favorite place to eat are Matsuya, Yoshinoya and snacks in FamilyMart. Nikko Hotel room is bad they shut down the cooling system. Vibrant city. Enjoyed our visit to the Kaiyukan Aquarium, Dotonbori and Kuromon Ichiba market. Travelling around is a breeze because of the hotel's location (APA Hotel Osaka Higobashi Ekimae). It more than compensated for the small room. 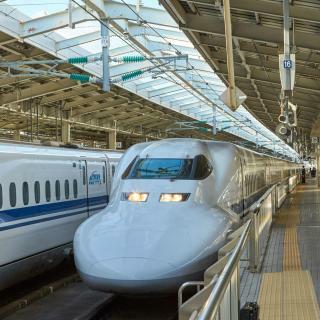 It was our first time in Osaka, we arrived via Shinkansen from Nagoya. Osaka is for food trip. We stayed at Namba Oriental Hotel. But given the chance i should have stayed in Umeda or some place that is not too crowded. Namba is a perfect location to explore Dotonburi and Shinsaibashi its just walking distance. But with a toddler in a stroller who wants to get off most of the time and walk around --- not a good idea. Also it bothered me that it smelled cigarettes everywhere! from the hotel entrance to the lobby and the elevator going to the reception. Our room is super big, thank you for the upgrade! :) We also visited the Osaka Aquarium and Grand front in Umeda. What i like most is the hotel. Room space is just right for 4 adults. Housekeeping was excellent because we are sure to return to an excellently clean room after our outing. This hotel however doesnt have a gym for us to workout a little bit but this is redeemed by the fact that universal studios is just opposite. You can get your Universal studios tickets from the hotel and it saves you unnecessary queueing at universal studios entrance. LOCATION: the hotel is only 1 min walking from Fukushima Station (2 mins from Osaka Station). It’s just right in front of the station. So it’s convenient for everyone traveling solo, with kids, couples. Many convenient stores nearby, fast-food restaurants and local dinings. PROPERTY: The staff are friendly and very helpful. The bedrooms are pretty small as typical Japanese hotel rooms but still comfortable. The bathroom is lovely, they have natural hot spa water in each bath which is great for soaking. The Hotel has an excellent location very close to Namba Station and OCAT bus terminal which services to Kansai International Airport and few steps from Dotonbori shopping area where you can find almost anything and everything your heart’s desire and nice restaurants to choose from. Rooms are larger than most traditional hotel rooms in Japan. Nice people from the front desk especially the two ladies from the concierge who were so helpful with our luggages. My adult son and I had stayed there a few days earlier for 2 nights and left our excess luggage in the hotel’s safe storage while we travelled the Kansai region and before heading to Tokyo on the shinkansen. Perfect stay again, due to central Dotonbori location, 10min walk to Namba Station (for Shin-Osaka access), great buffet breakfast with fab city views, friendly staff, ... and we received a room upgrade to a wonderfully spacious room. Much appreciated. The staff are incredibly helpful! I lost something very important and they helped make the calls I needed to do for me. The location was really central too. There were lots of places to visit in Osaka that were just a walk away. Subway access is very good too. The hotel was very clean, and the room had everything we needed. The free smartphone service was really neat. Overall the best hotel my partner and I stayed at during our stay in Japan. Absolutely loved the hotel it was beautiful. It was a fantastic location for Osaka japan universal. Rooms were expensive but worth it. Room for three of us was a perfect size and shower room was huge! Didn’t get to try breakfast sadly but looked great. The hotel did a great job at greeting us even got a free coin to get a keychain! My cousin loves minions and the theme is minions so it was perfect. I truly think any age could enjoy. The price was very reasonable, the hotel was amazingly clean and welcoming. The amenities were just enough, the room was spacious and the bathroom was extremely nice. The breakfast was delicious and had a large variety. I will definitely book here again, as I live in Japan and visit Osaka often. The location is perfect too, near to 3 large subway lines in Osaka. Also, it is in a very quiet neighborhood. Perfect stay. Very nice hotel, staff was accommodating and room was very comfortable and incredibly large by Japanese standards. Not to mention super clean. Views from the room were very enjoyable too. Shuttle to Osaka station was very convenient. This was an awesome quiet spot for the last night of our trip after staying in the heart of town for a week. Great spot for local theme parks like the Aquarium and Universal Studios. The hotel is located right above Ebisucho station (exit 1B) which is very convenient if you are traveling around osaka by train. You can just get off at the Ebisucho station and take the exit 1B, then take the lift to level 3 (receptionist). The hotel is very clean. The facilities such as toilet at shower room also clean and they provide the amenities from Muji (which is a good brand from Japan). I don’t get paid to write this review, in fact we will probably never visit Osaka again (we don’t travel the same country twice), but this must be one of the best hotels in Osaka. Good breakfast, 200m from JR Bentencho, brilliant view (take sky-room), much bigger rooms then the Japan standard. Will definitely recommend this hotel. The location was fantastic. Namba St entrance is right in front of the hotel. It’s also close to the airport bus station and in a walking distance to major attractions e.g. Dotonbori, Kuromon Ichiba Market. The nearby grocery store is a plus. The room was spacious by Japanese standard. The breakfast was also nice. Perfect location, in the very center of Osaka, two steps to Shinsaibashi shopping area, also close to Dotonbori. Very convennient. Room is quite big compared to many other Japanese hotels in the center of big cities. Very clean. Staff are friendly. Location. Walking distance to downtown (dotonbori). A few steps to OCAT, where you can easily take direct limousine to the Kansai airport or Universal studio Japan. I will use this hotel again next time when I am visiting Osaka. Best hotel dring my last two trip in Japan. The location is near the umeda and osaka station. Only 10 mins walk. And close to all the rastrurant only cross a road.. The price is awesome and the staff are really friendly..
Breakfast was good. There was many selections to eat. Location is far from Dotonbori/Osaka/Umeda/Namba but metro exit is a few step from hotel door. Room space is better than most of Japanese hotels. Good position. Quite near from Osaka station.